Dr. Amber Tabares NMD, MBA-HCM is a board certified and Arizona State licensed Naturopathic Physician that graduated from the Southwest College of Naturopathic Medicine and Health Sciences, a four year accredited Naturopathic Medical School. 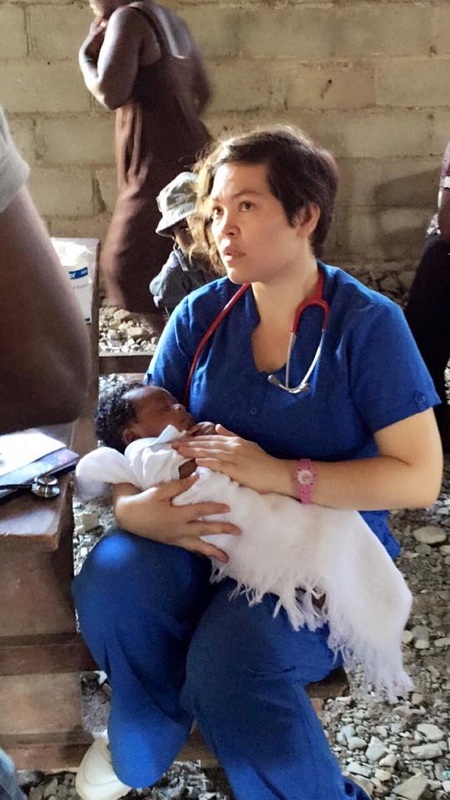 She also has a Master’s in Healthcare Management from American Intercontinental University and a Bachelor’s in Biology with a Minor in Chemistry from the University of Missouri-St. Louis. Dr. Tabares was born and raised in St. Louis Missouri where Naturopathic Doctors are not licensed to practice within their full scope of training and education. Dr. Tabares has decided to deviate from presenting a standard “within the norm” bio of herself so that she could fully represent the person she is and the life experiences that created her. For instance, she did not come from a family of higher education. In fact neither one of her parents finished the 10th grade. At a very young age she was inspired from within to be a doctor, not a doctor of conventional medicine but a doctor that uses natural medicine. Not completely understanding what kind of doctor that was at that time, she had no doubts about her destiny. Dr. Tabares was raised in extreme poverty, having watched her parents get turned away in the need of health care and observing that no matter how much pharmaceutical medication one took; optimal health was never really obtained. These experiences led Dr. Tabares to understand that her lifelong goal is to be part of building a new health care system that will run perpendicular to the current system in order to be effective in reversing disease, sustainable in doing no harm, and cost effective in equality. Since graduation from the Southwest College of Naturopathic Medicine, Dr. Tabares has practiced in the field of Addiction Medicine, Community Medicine, Global Medicine, Pediatrics, Anti-Aging Medicine, Family Medicine and Primary Care. She currently practices privately at Better World Medicine and serves as an Attending Physician in Community Medicine Clinics for SCNM; strongly adhering to the true principles, philosophy and therapeutic order of naturopathic medicine. In all hopes, Dr. Tabares created Better World Medicine as a safe haven where the spirit of naturopathic medicine will be held in the highest regard of its unadulterated wisdom of healing, truth and power.